In this all-new book from R. C. Sproul, readers learn why God is the only Promise Maker worth trusting. What can we learn about God’s faithfulness as we wait for His promises to be fulfilled? What covenant do non-Christians participate in with God? What does God’s covenant have to do with forgiveness? Why did Jesus have to die to complete God’s covenant? 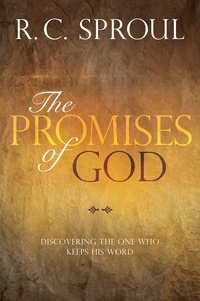 Here readers will see how the God of history keeps His promises to them, just as He always will.